Join us as we celebrate Luke Avizini's new Edward Jones office in Greater Gainesville! Edward Jones is a financial firm that has been serving the country since 1922. Currently, they serve nearly 7 million individuals across more offices in America than any other investment firm. 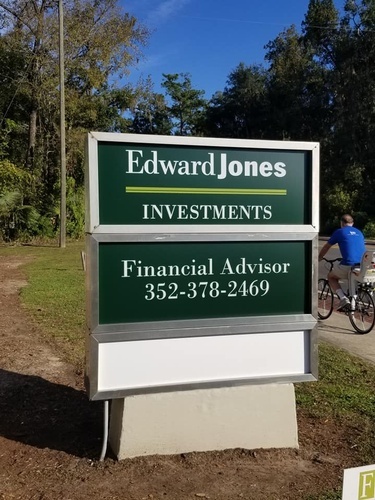 By working closely with their clients and understanding what's important to them, Edward Jones works through an established process in order to help clients reach their goals. Luke Avizinis and his office look forward to serving many more in the Greater Gainesville region! There will be food, giveaways, speeches and more! The Ribbon cutting ceremony will commence at 4:50pm.